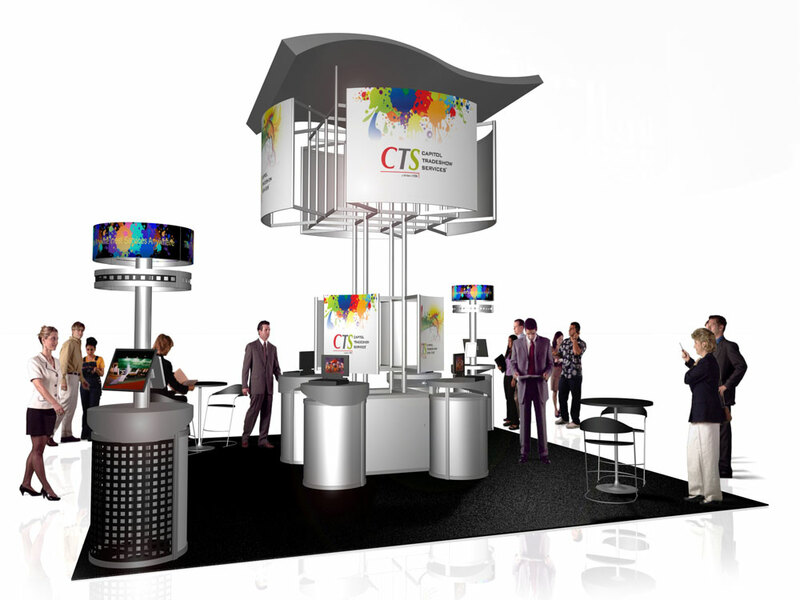 When you rent from CTS, every model includes graphics printed from your prepared files, or, we can design new visuals for a custom look at an additional charge for: header logo, back-wall graphics, reception counter graphic, or other visual pieces for larger booths. 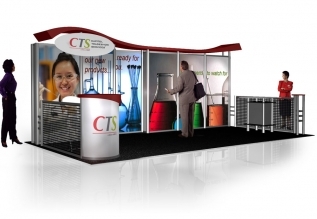 Also, you may choose from black, gray, red, or blue, for your back wall header canopy. 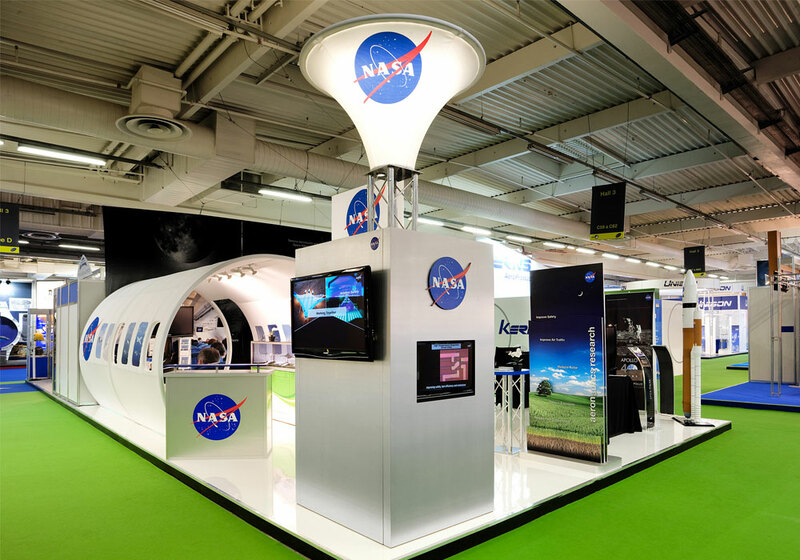 This canopy includes LED down-lighting to illuminate the back wall graphics. 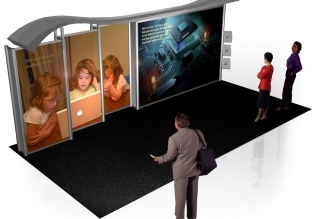 Your model may be of any width, combining 1-meter panels or silicon-edge graphic panels. 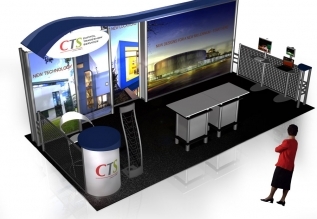 Add your choice of an oval header, side rails, a reception counter along with many options to choose from. Shipping, drayage, and installation/dismantle labor are all included in your model price. 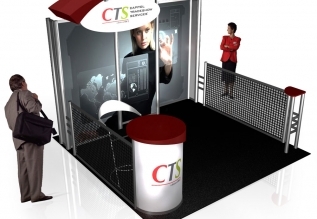 Finally, CTS can assist you when ordering any other show services you may require. 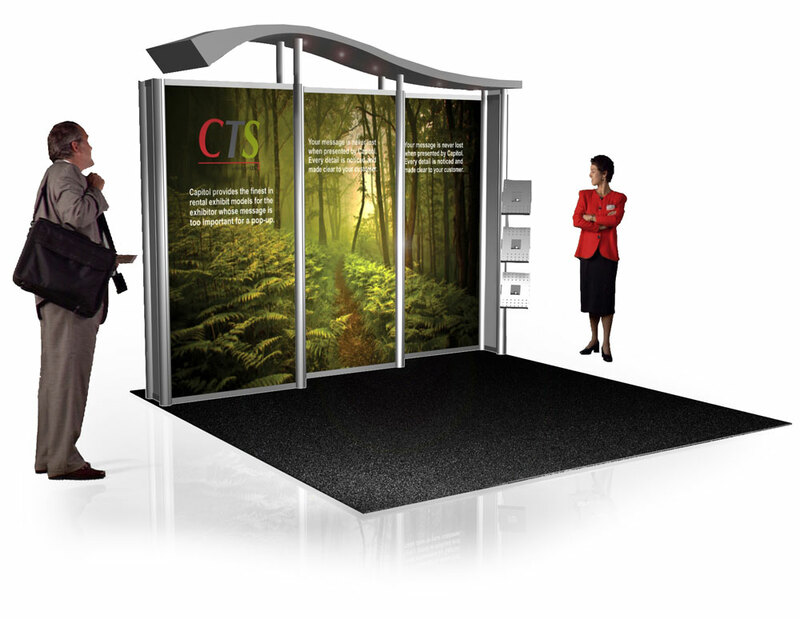 Three 1-meter wide back wall graphic panels, gray return panels, and canopy with LED lighting. 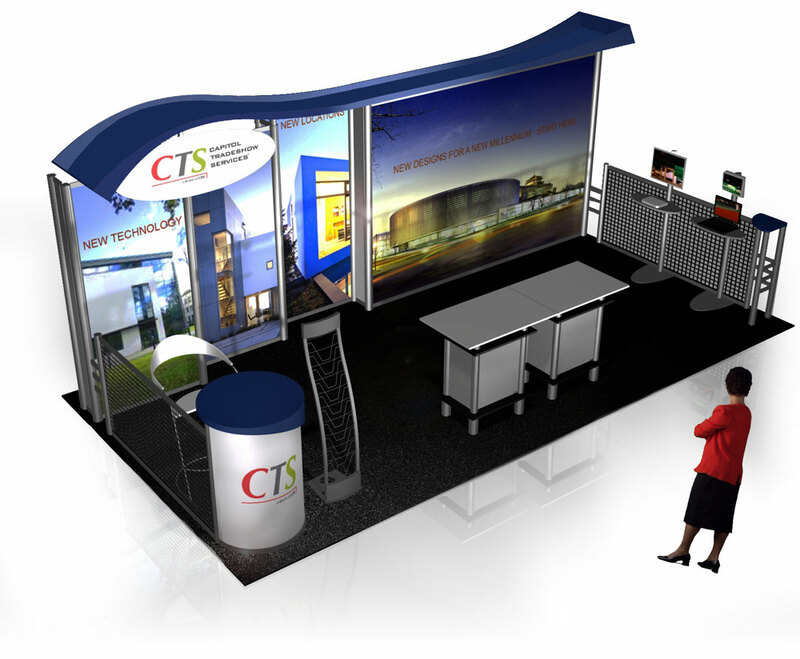 Three 1-meter wide back wall graphic panels, gray return panels, oval header panel, canopy with LED lighting, side rail panels, locking reception counter, giveaways counter. Counter tops always match your canopy color. 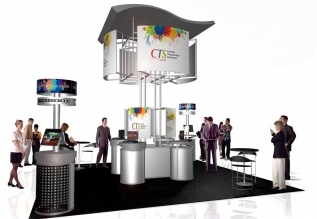 Three 1-meter wide back wall graphic panels, each with full LED lighting, gray return panels, oval header panel, canopy with LED lighting, side rail panels, locking reception counter, and giveaways counter. 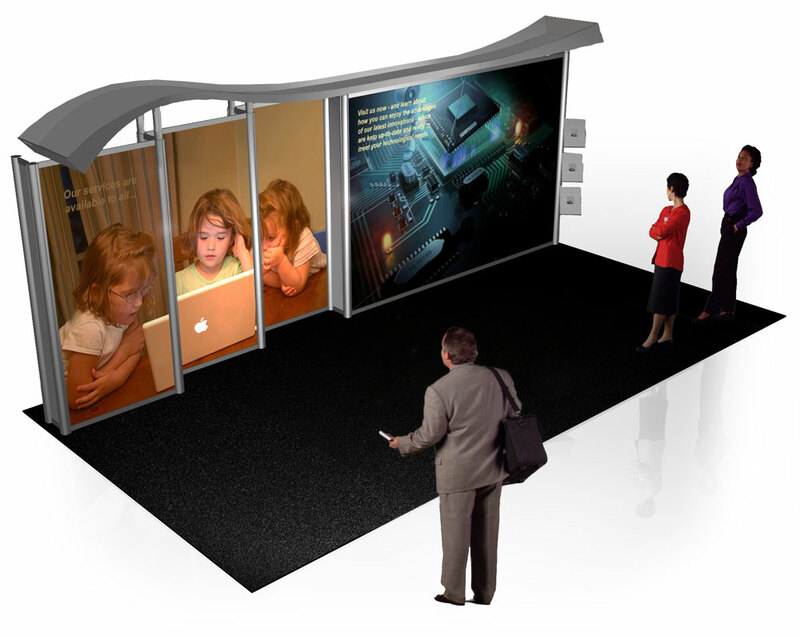 Options shown: TV monitor workstation and iPad workstation. 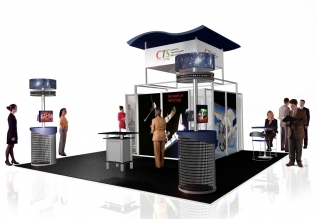 Three 1-meter wide back wall graphic panels, One 3-meter wide silicon-edge fabric graphic wall panel, canopy with LED lighting, and gray return panels. 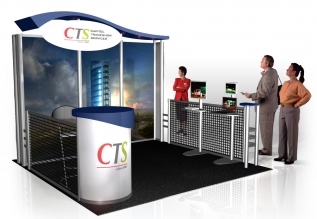 Six 1-meter wide back wall graphic panels, canopy with LED lighting, gray return panels, oval header panel, side rail panels, locking reception counter, and giveaways counter. 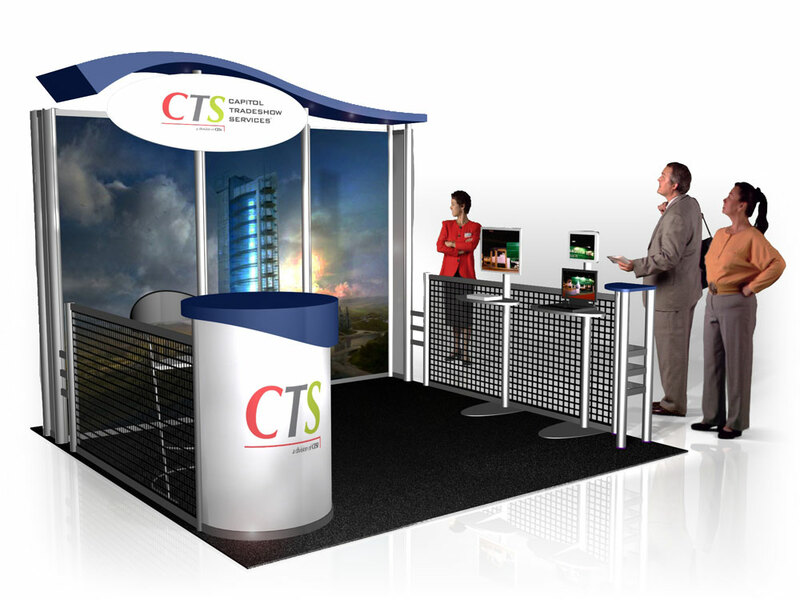 Three 1-meter wide back wall graphic panels, One 3-meter wide silicon-edge fabric graphic wall panel, canopy with LED lighting, gray return panels, side rail panels, locking reception counter, and giveaways counter. 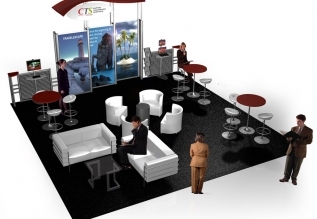 For your peninsula booth space, we can develop a rental solution that fills the allowable area or accommodates a lounge, as shown above. 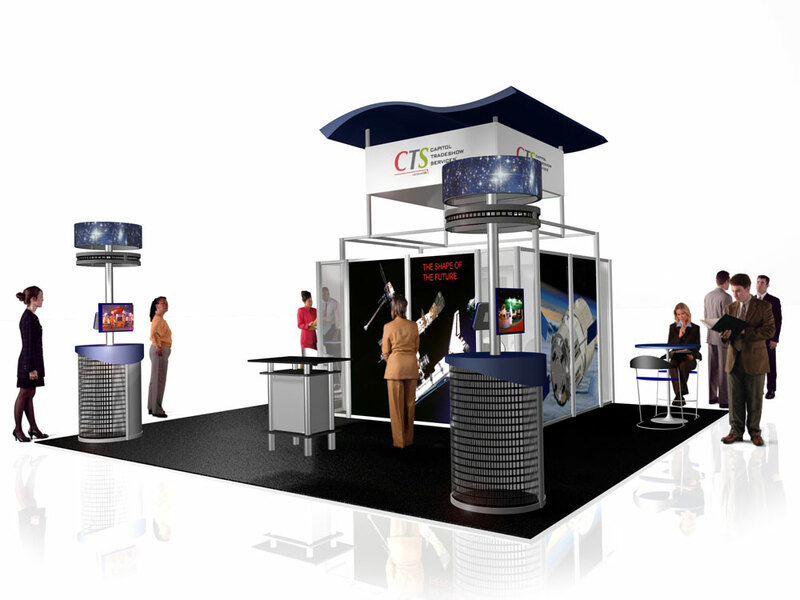 This layout provides the standard setbacks required at each side of a peninsula booth. 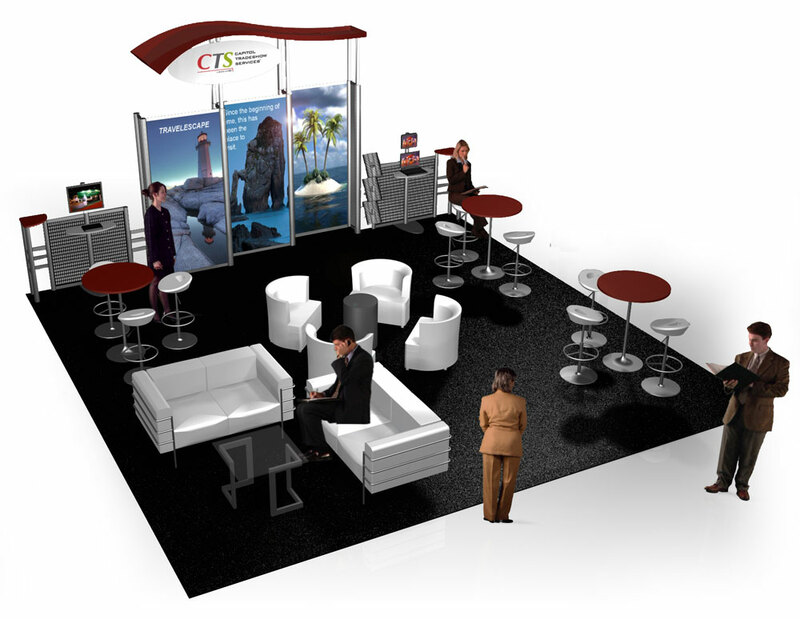 Island booth spaces of any size can be populated with freestanding workstations, workstation/display counters, storage cabinets, centralized graphics, and towers for graphic visibility. 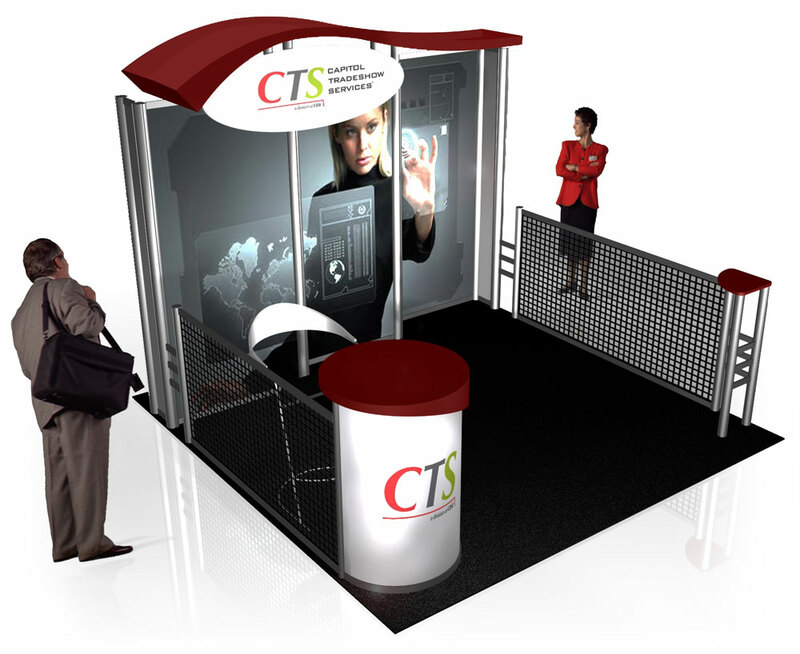 A central meeting room can form the basis for a peninsula or island booth, as shown above. 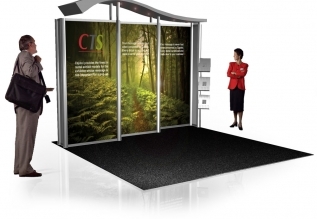 Here, the meeting room features graphic panels, translucent corners, and a four-sided header under a canopy. Freestanding workstations and a display/storage counter complete the space.